Whisk together the dry ingredients and set aside. 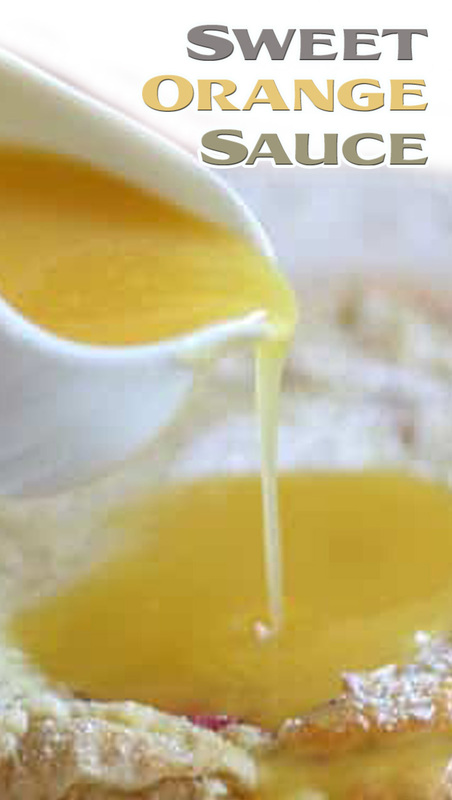 Combine the water and the orange juice concentrate in a small saucepan over medium heat. Whisk them together and then add the dry ingredients. Cook the mixture, stirring frequently, until the sauce is clear and thickened. This should take about 8-10 minutes. Remove from the heat and stir in the butter. Serve warm and Enjoy! Any remaining sauce will keep well in the refrigerator for up to a week. * I buy orange juice concentrate only to make this recipe. You can open the can of concentrate, remove what you need and transfer the remaining amount to a mason jar. Then simply place it back in the freezer until you need it again.